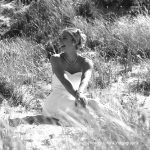 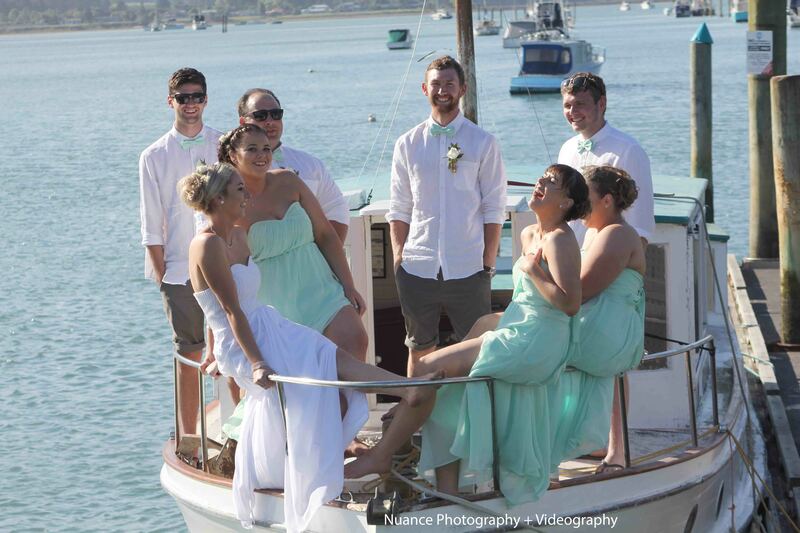 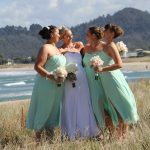 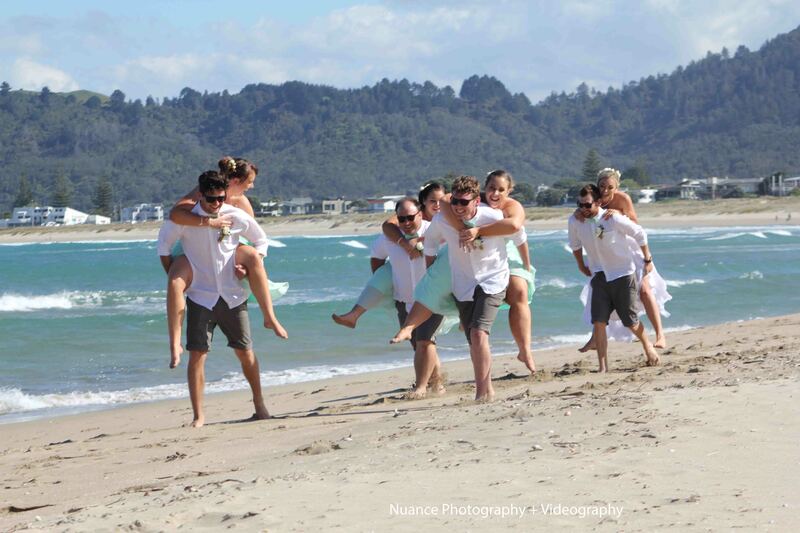 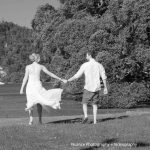 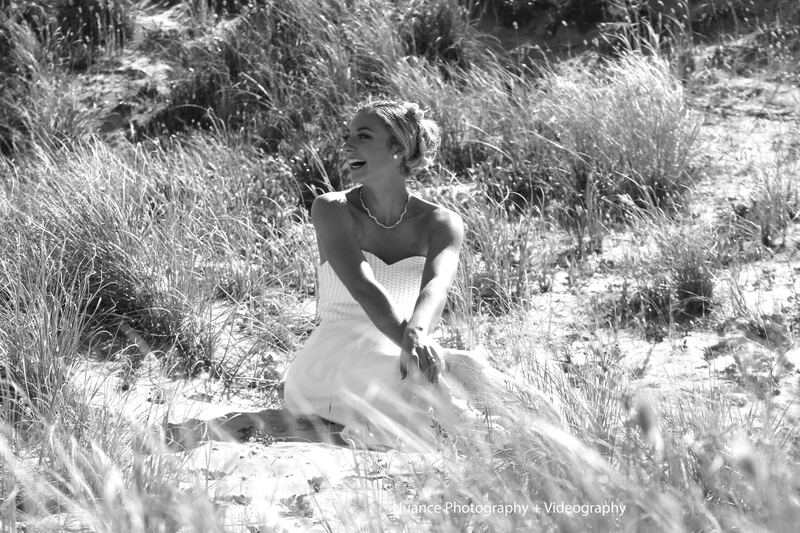 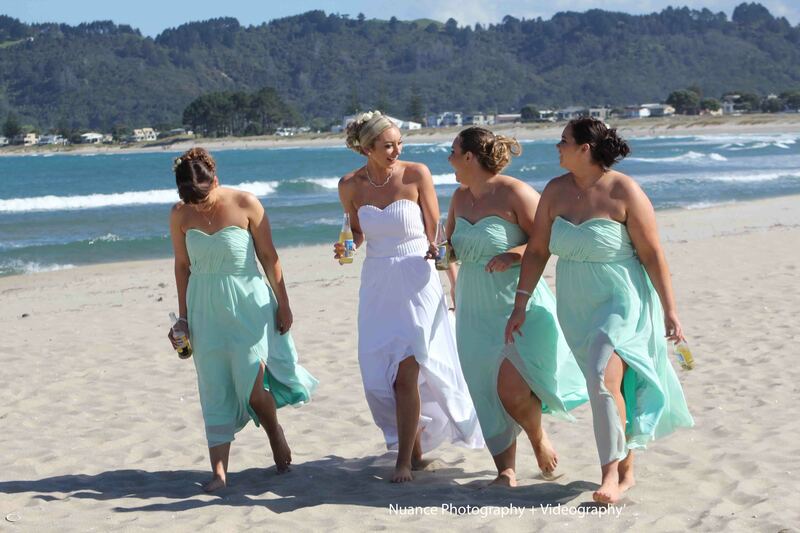 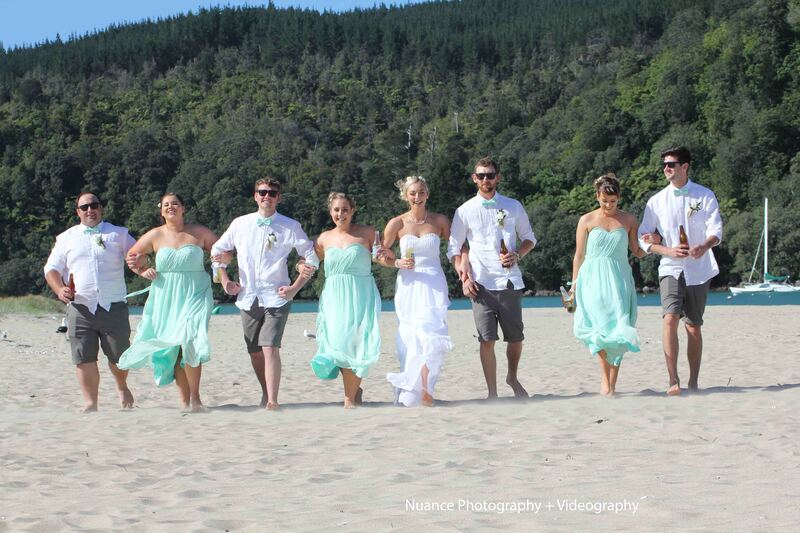 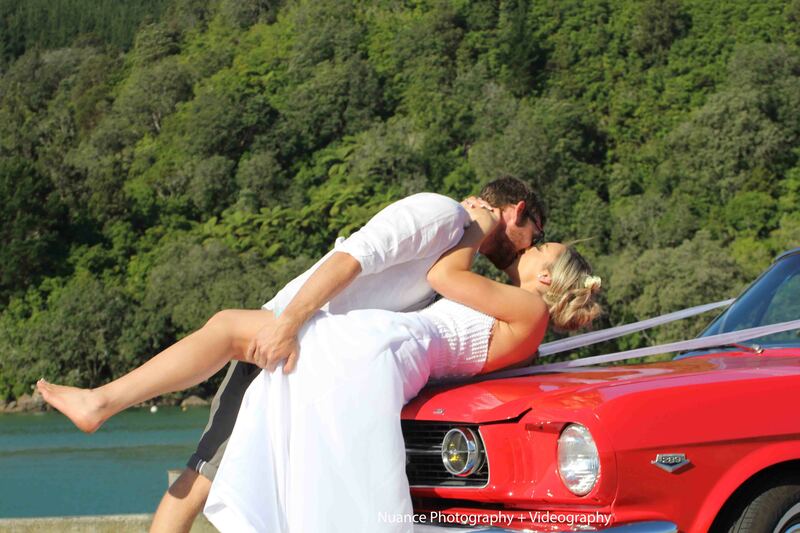 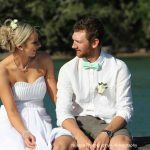 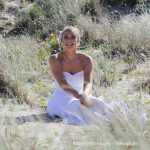 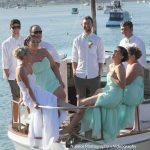 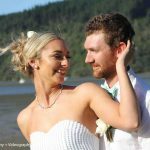 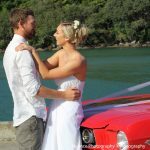 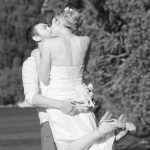 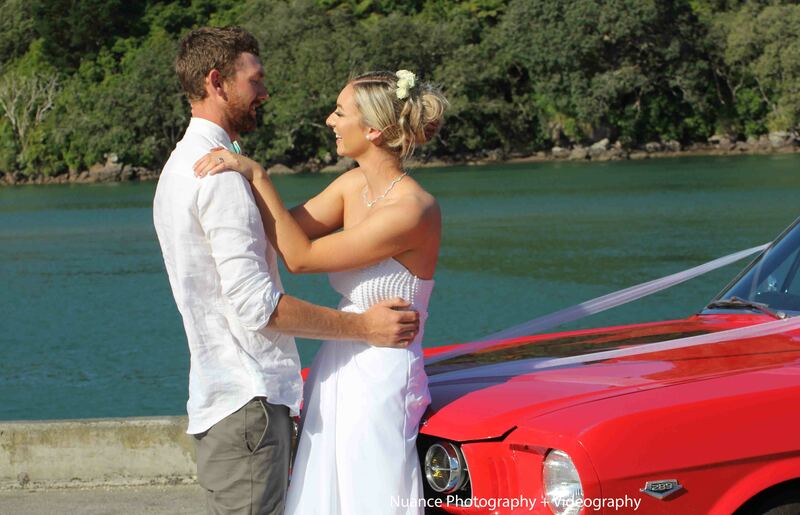 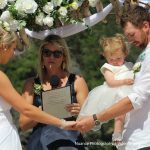 Coromandel weddings New Zealand offer some of the most amazing photo locations. 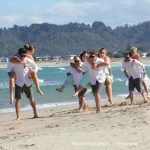 From white sandy beaches to lovely native bush and panoramic vistas all in a few minutes drive. 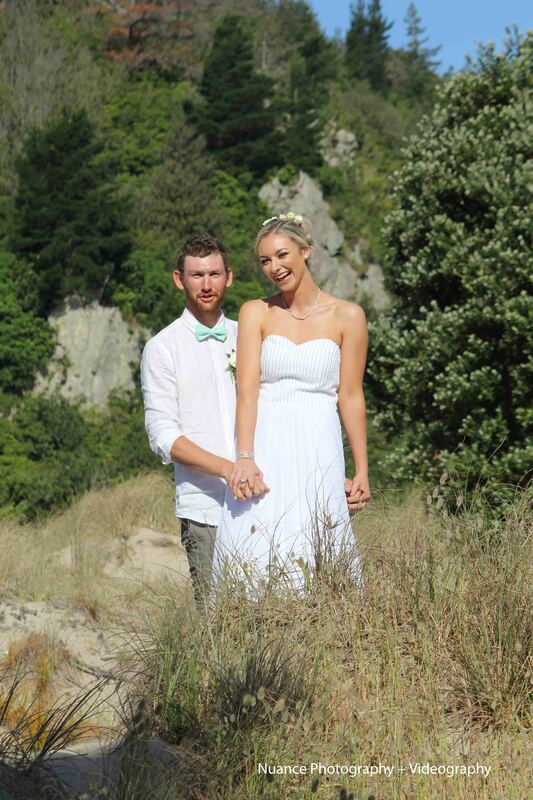 The Coromandel is reminiscent of old style New Zealand. 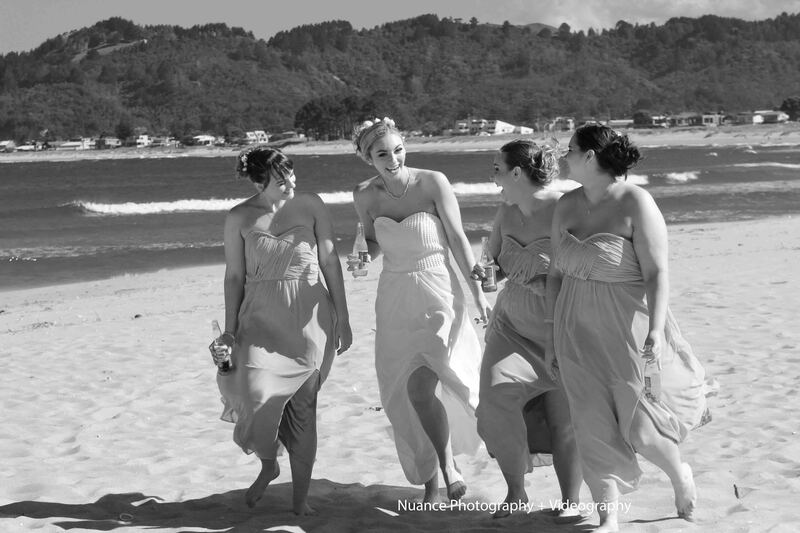 Its like stepping back in time. 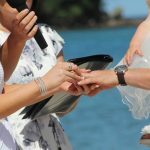 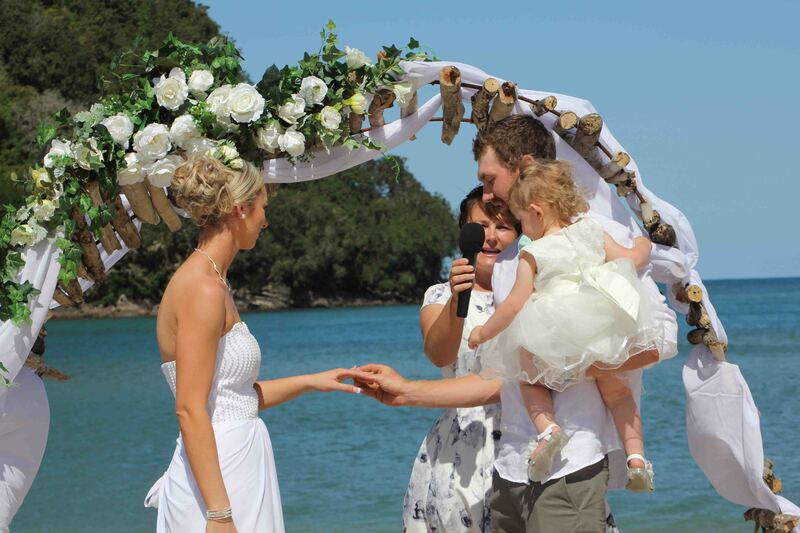 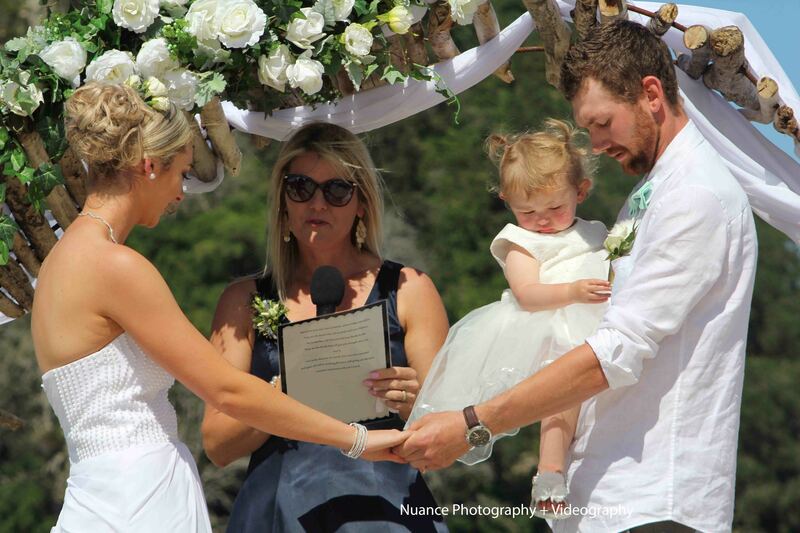 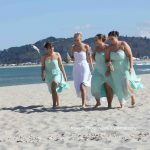 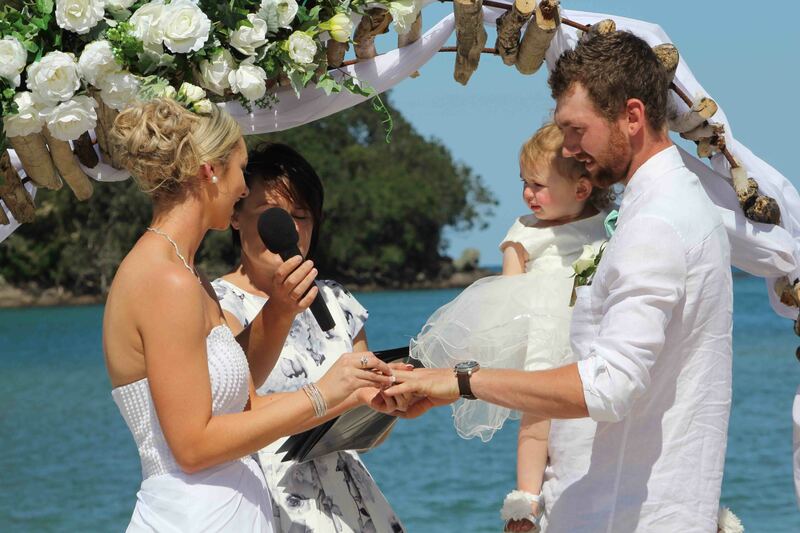 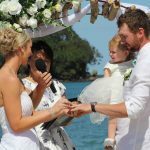 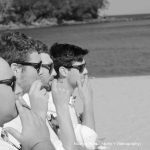 Very laid back and full of old kiwi cribs on empty beaches makes the Coromandel perfect for a relaxed beach wedding. 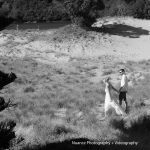 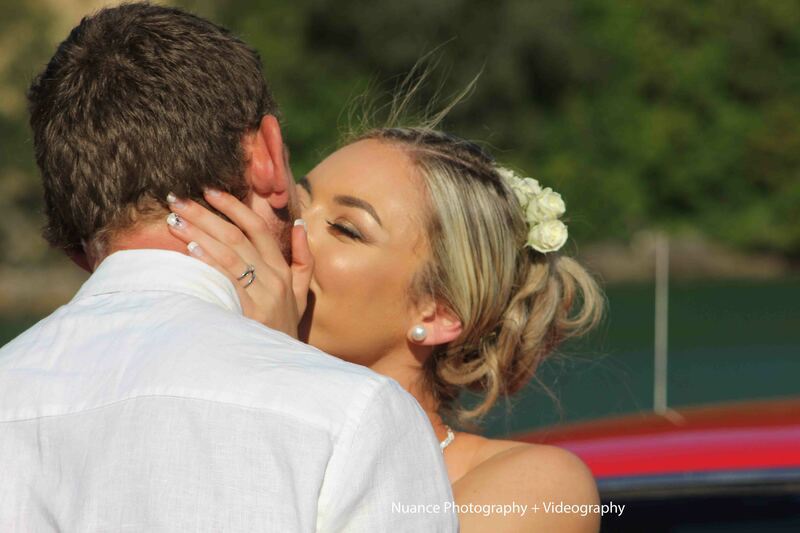 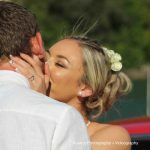 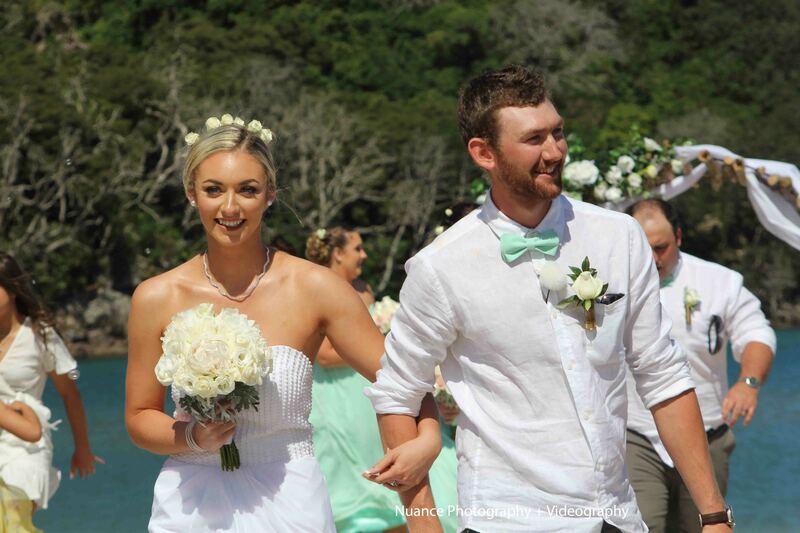 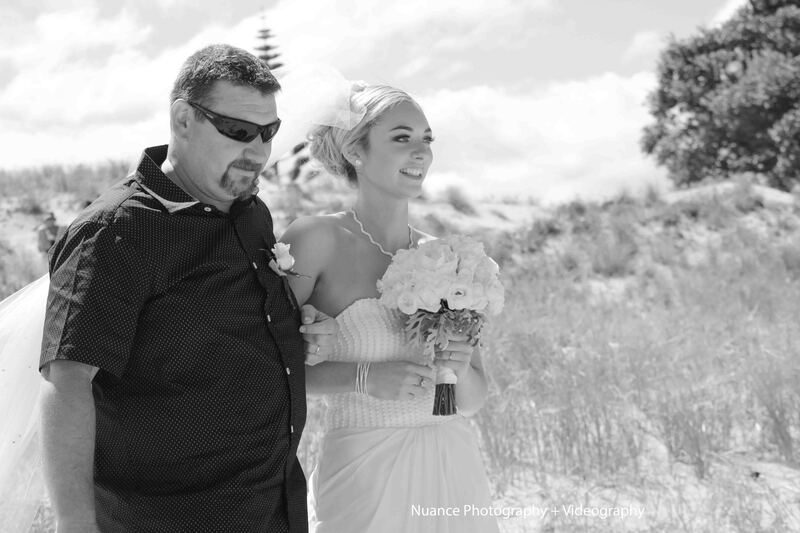 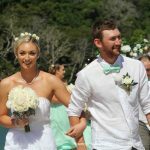 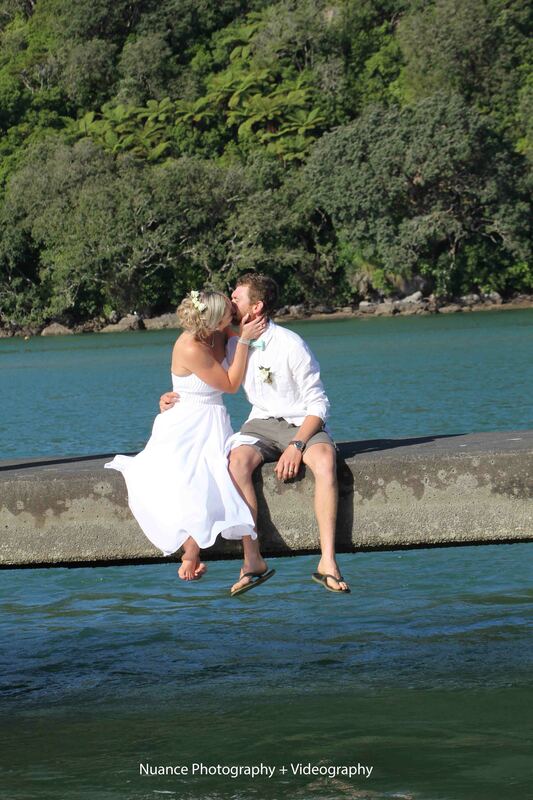 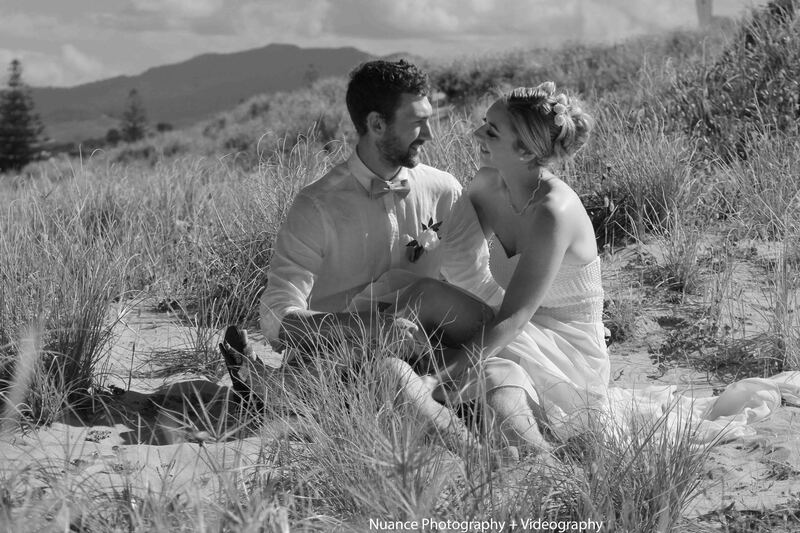 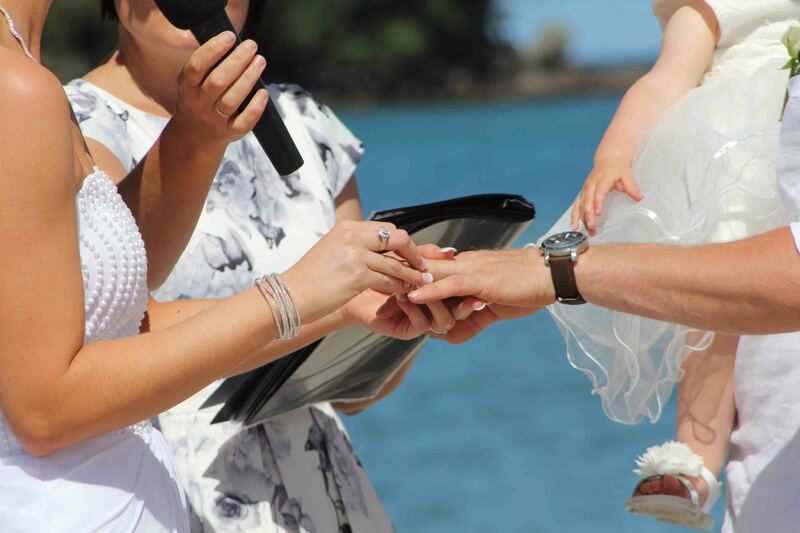 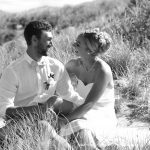 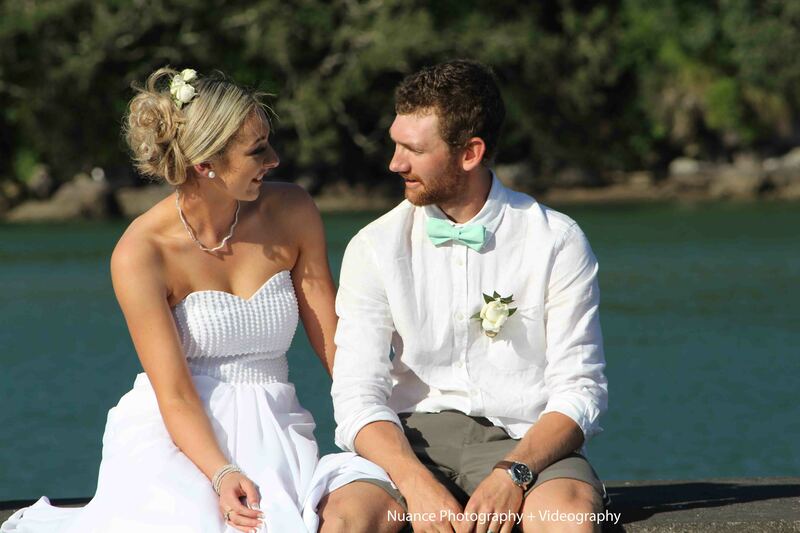 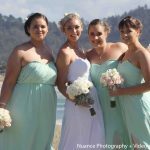 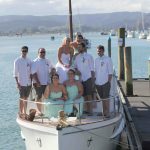 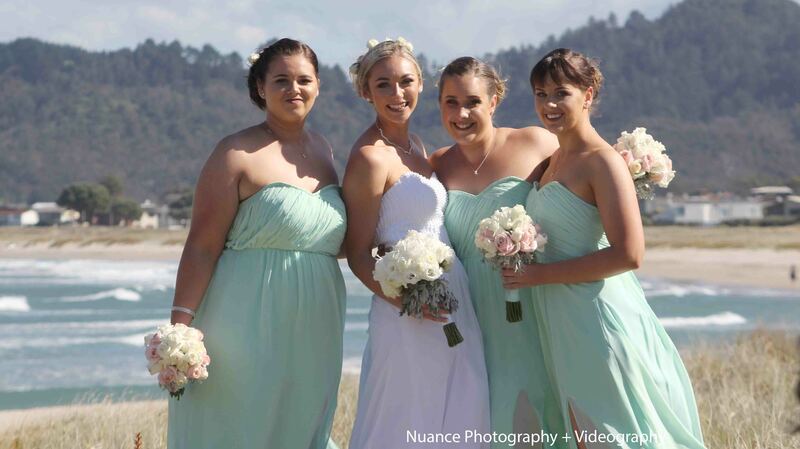 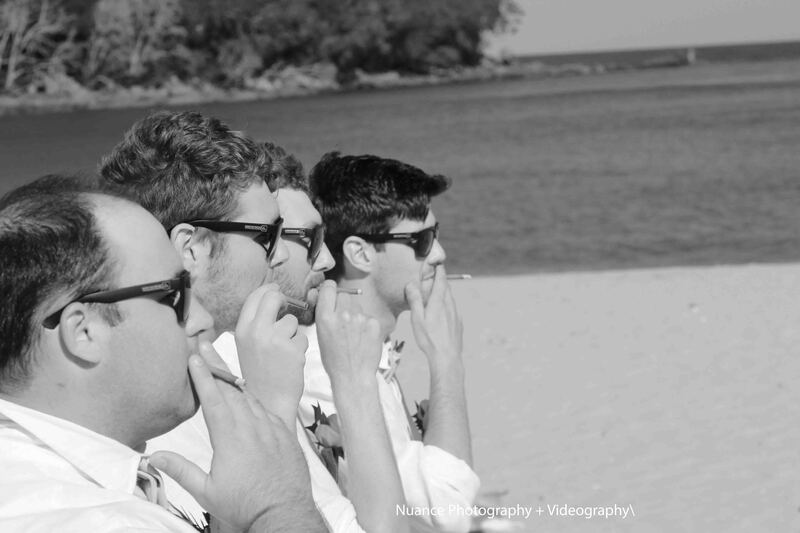 Micayla and Sean married on Whangamata Beach down by number one access close to the iconic Whangamata Boat club. 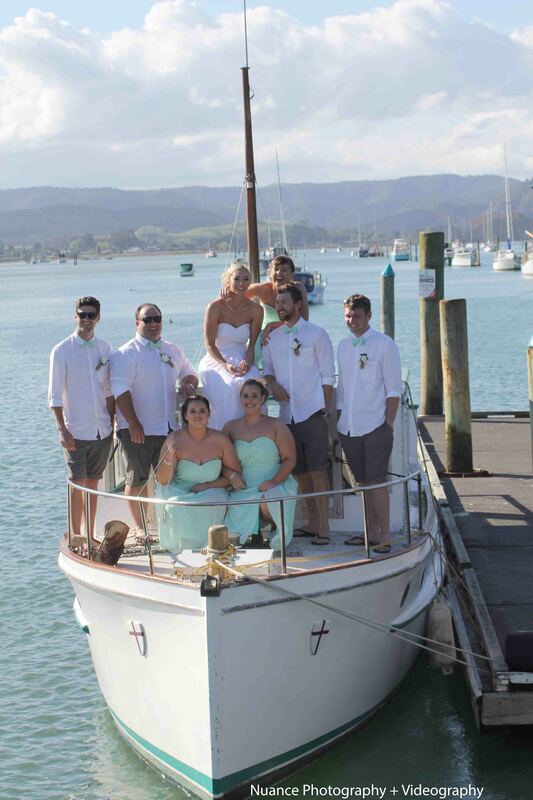 They loved the jetty and the old boat that rocked up. 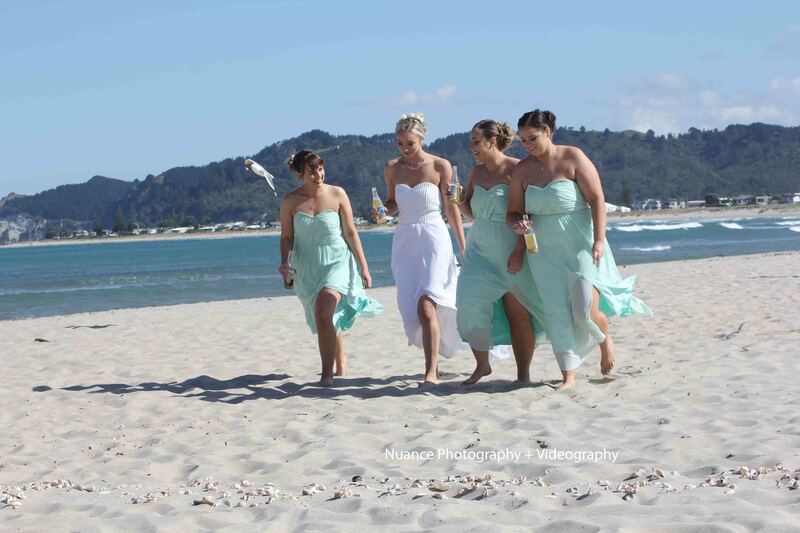 The lads were your classic kiwi blokes and keen the girls looked amazing. 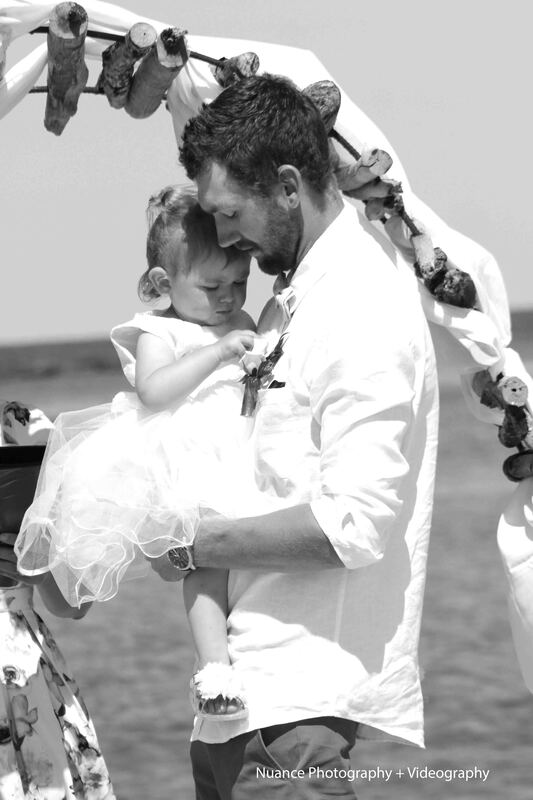 We paid special attention to their very cute little girl for photos. 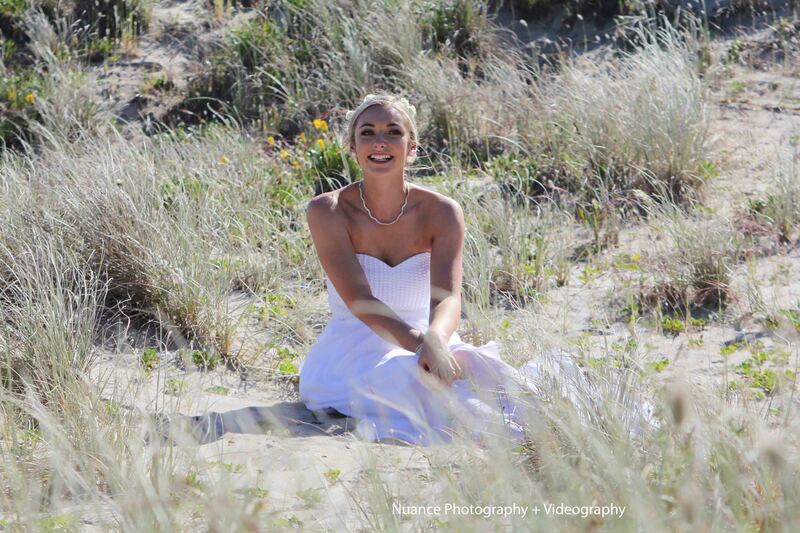 We loved being part of your special day, we wish you all the very best in future. 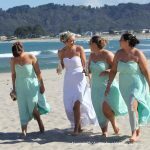 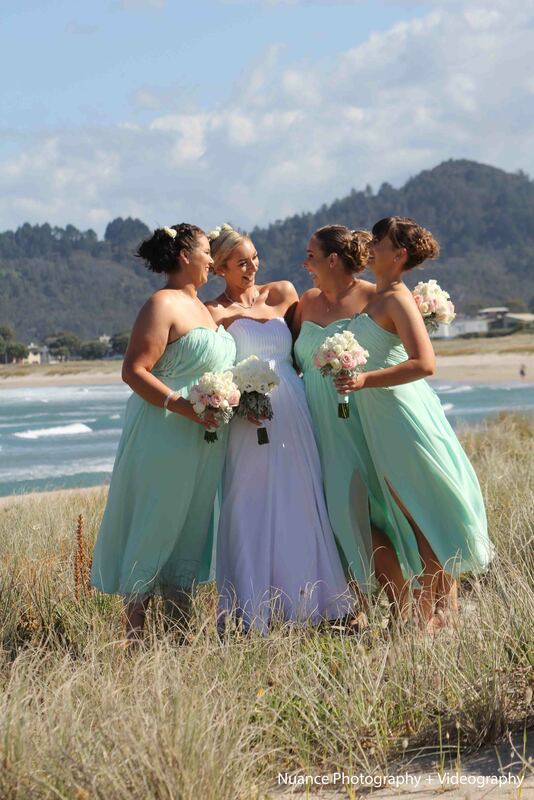 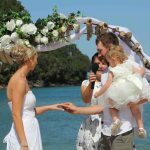 Whanagamata is just one of many amazing beaches in the Coromandel to chose a secluded surf beach for your wedding. 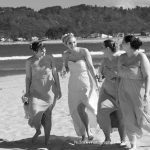 We are happy to chat and discuss ideas for your day. 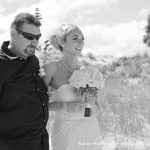 Offer advice on photo locations and the best time of the year to make the most of the natural beauty. 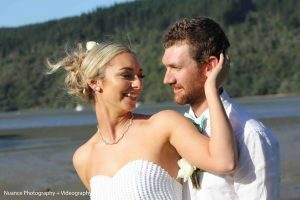 When you chose a photo and video package which offers very comprehensive wedding imagery so you don’t miss a thing, you receive a great discount. 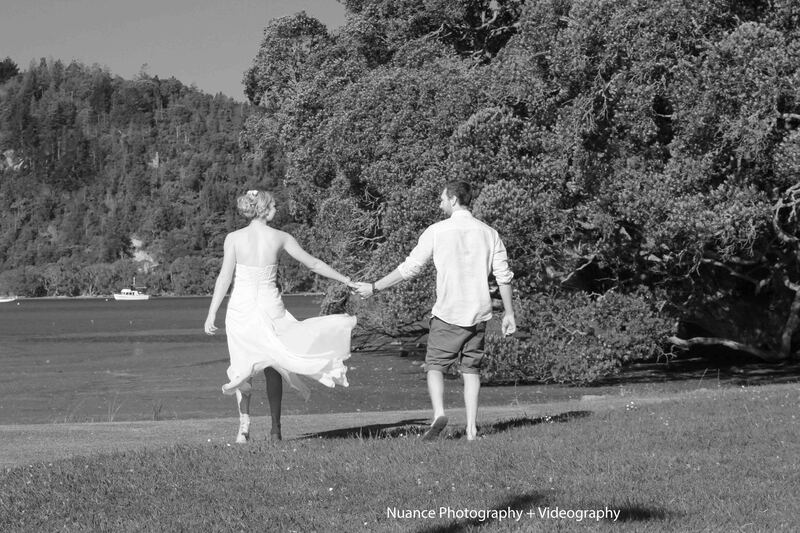 Video is so important these days and the future of wedding imagery. 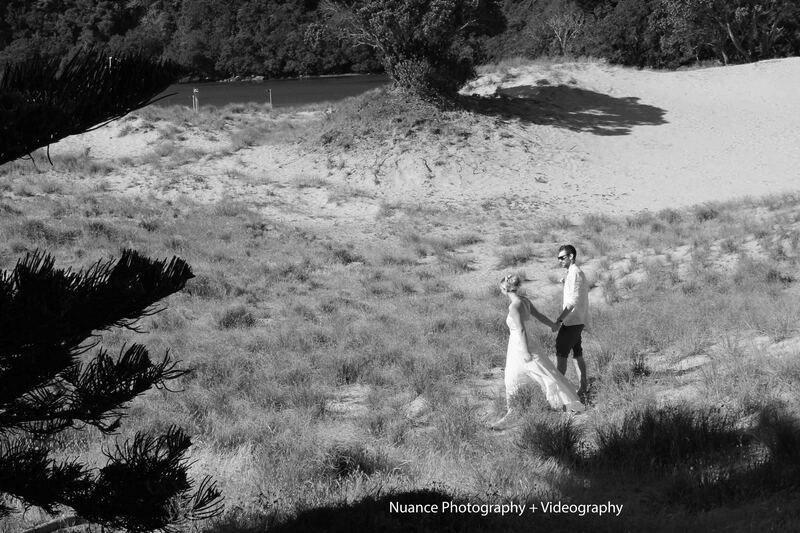 Having wedding video including drone and audio really brings back the memories ad beauty of the day. 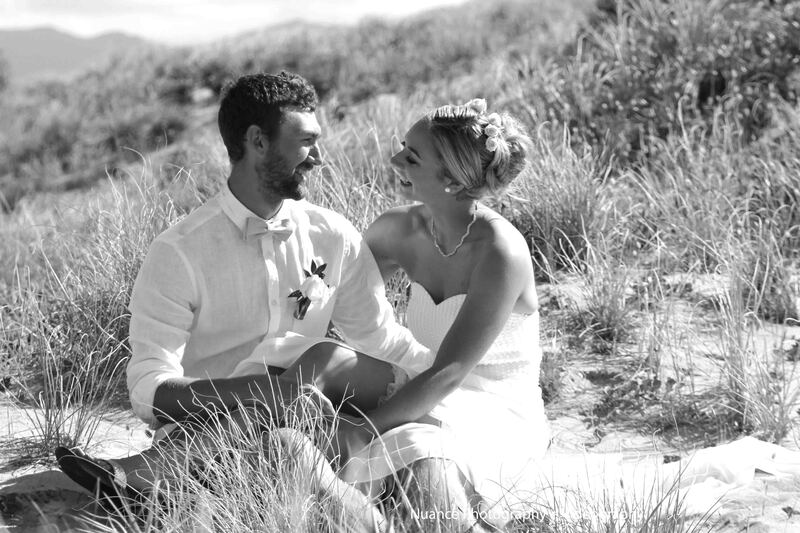 Being able to place all the best parts of your day into a little highlights video means all the people that would have loved to have been there almost get to feel like they were actually at the wedding.